KATHMANDU, Dec 23: The Department of Tourism (DoT) has collected revenue of Rs 451 million in the first four months of the current Fiscal Year 2018/19. The figure is half the revenue collected in the entire Fiscal Year 2017/18. The department had collected a total Rs 900 million in revenue under different headings last fiscal year. Agency registration fee, casino royalty, mountaineering and trekking permit fee, administrative service fees are the major sources of revenue for the department. Among them, royalty from casinos contributes the highest share in the DoT revenue. The department record shows that Rs 378 million was collected from the casinos in royalties, and Rs 56.3 million from mountaineering trekking permit issued by the department in the first four months of the current fiscal year. The department records also show that a total of 2,292 mountain climbers of 288 teams have received expedition permits from the DoT in 2018. Figures compiled by the department exclude royalty collected by Nepal Mountaineering Association (NMA) for small peaks. Similarly, in the first four months, the DoT earned Rs 12.9 million in agency registration fee. Nearly 6,000 travels, trekking, rafting and other agencies are operating in the country after getting license from the department. Besides them, 11 five-star, seven four-star, 37 three-star, 43 two-star, and 31 one- star hotels across the country are registered with the department. Likewise, 501 tourist convenient hotels and 252 home-stays are registered with the department till now. The data further shows that the DoT earned Rs 4.5 million from administrative fines under several titles, and Rs 11,000 from administrative service fees. Meanwhile, the capital expenditure of the department was recorded to be Rs 7.57 million in the first four months of FY2018/19. Dandu Raj Ghimire, director general of the DoT, said that the federal organizational structure has created some confusion, which has affected handling of the agencies and permits to some extent. "It would be better to shift the administrative works of trekking and travels to the provincial governments," Ghimire said, "So that the work load will be divided and at the same time work will be effective." 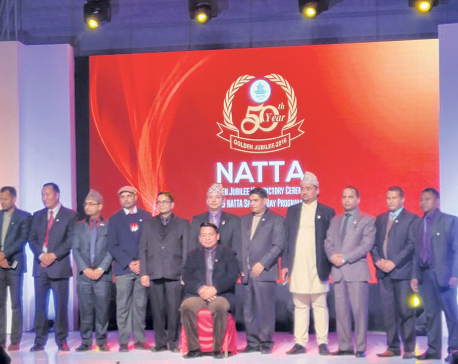 He further said that the registration process of travel agencies was in need of revision, and that the provincial levels should be allowed to look after registration and renewal of companies. The department has made suggestions to the Ministry of Culture, Tourism, and Civil Aviation about the distribution of work among provincial level. “We will soon find a way out for this issue,” he added. Ghimire also said that the department was holding frequent discussions with the ministry about managing the hotels and home-stay services. He further said that there was no mandatory rule for hotels to renew their registration, an issue that has raised some concerns about revenue collection. 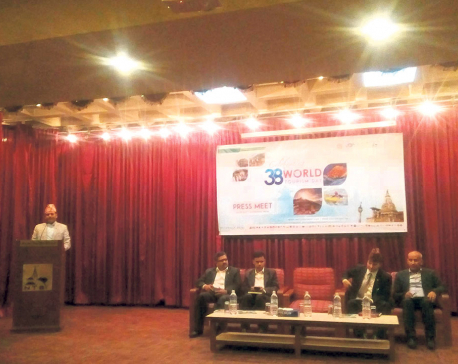 Ghimire stressed upon the need for revision and amendment in all acts and regulations related to the travel and tourism sector.